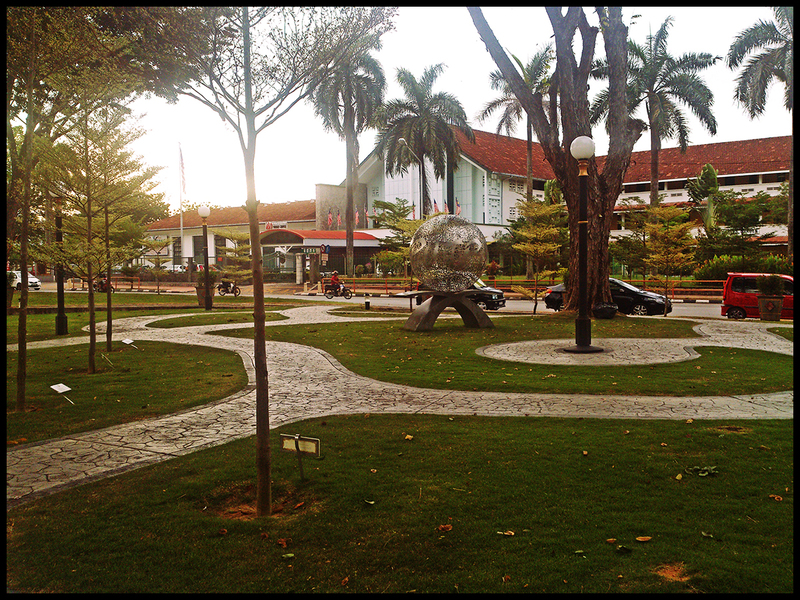 TPO Friendship Park is a small landscape park lying in the middle of Farquhar Street, George Town with planted Bucida Variegated trees. 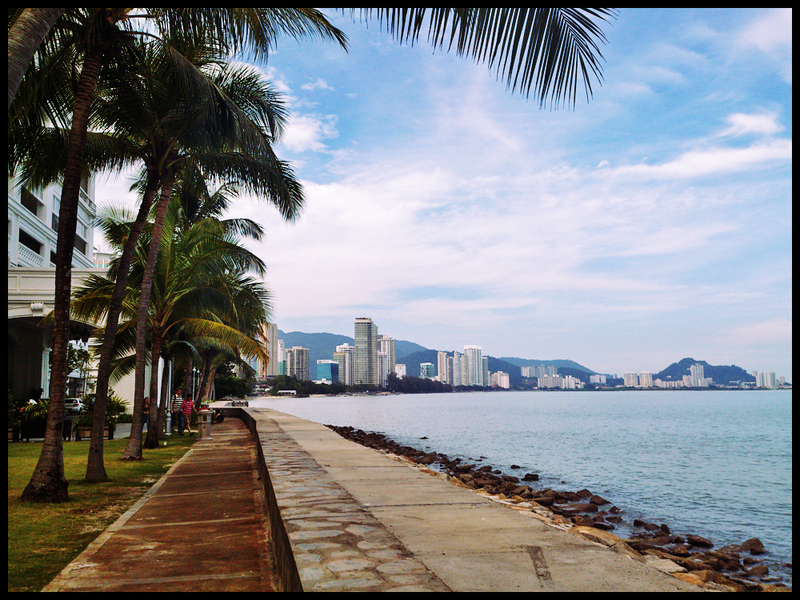 The park is dedicated for the 68 Asia Pacific region city mayors who came to Penang for the 5th Forum of the Tourism Promotion Organisation for Asia Pacific (TPO) which was held from 17 to 20 September 2012. 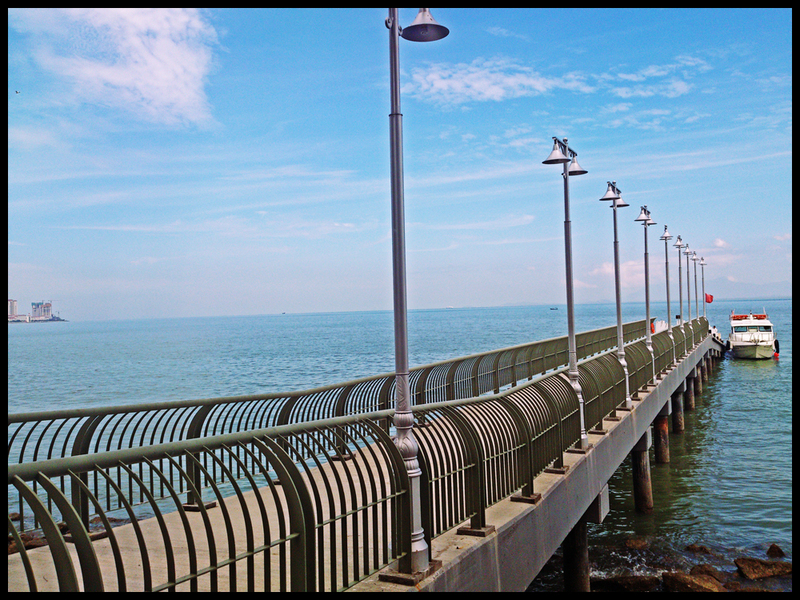 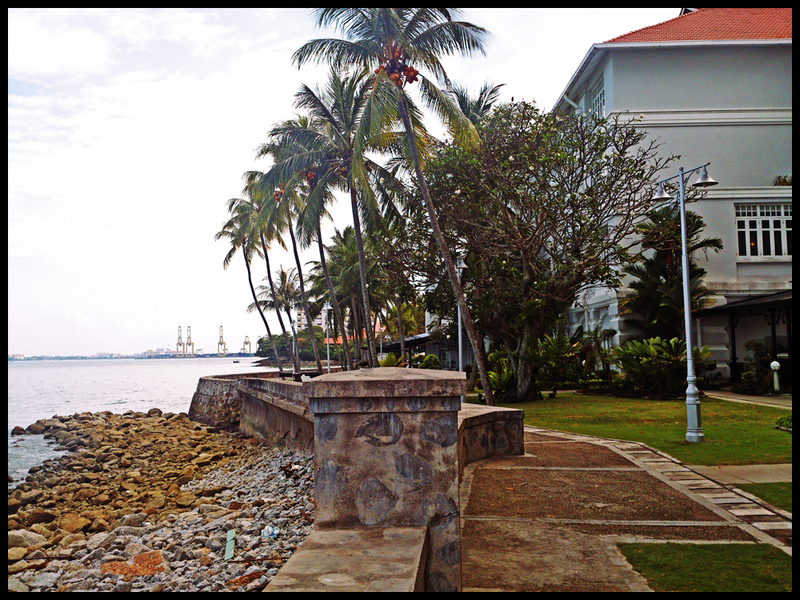 The park is right in front of the City Bayview Hotel and Wisma Boon Siew building. 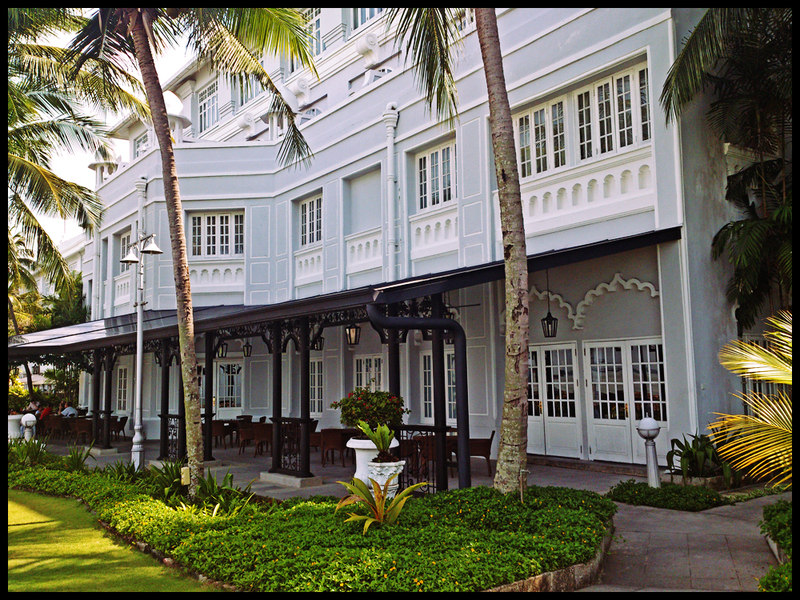 Located at the UNESCO Heritage zone of George Town, Eastern & Oriental Hotel is a luxury hotel established in 1885 during the British colonial times by four Armenian brothers, the Sarkies. 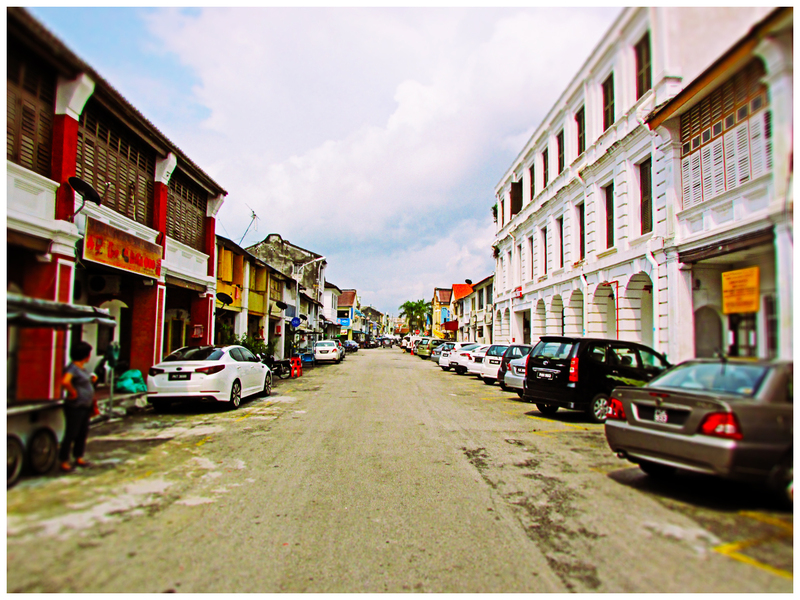 Having survived over a century to this day, the hotel is claimed to have been visited by famous people such as Mary Pickford, Douglas Fairbanks, Noel Coward, Rudyard Kipling, Somerset Maugham and Hermann Hesse. 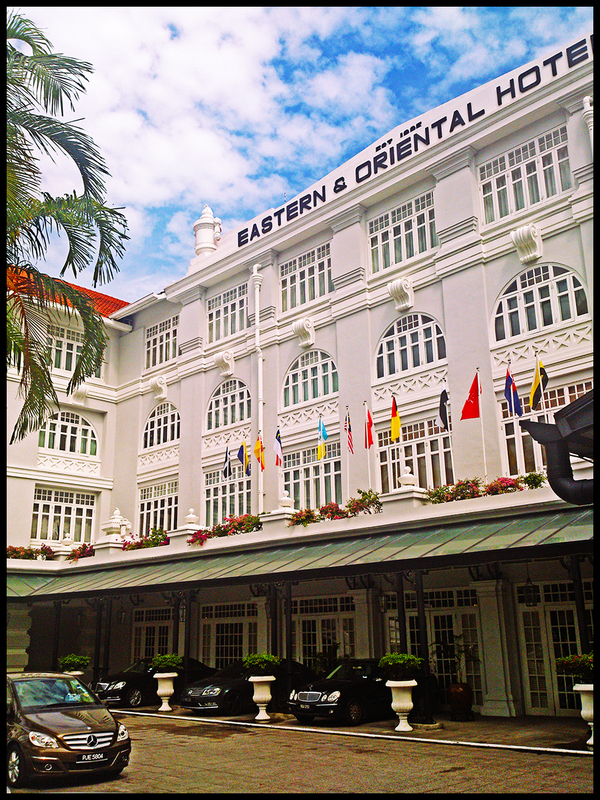 Eastern & Oriental Hotel is located along Farquhar Street, George Town. 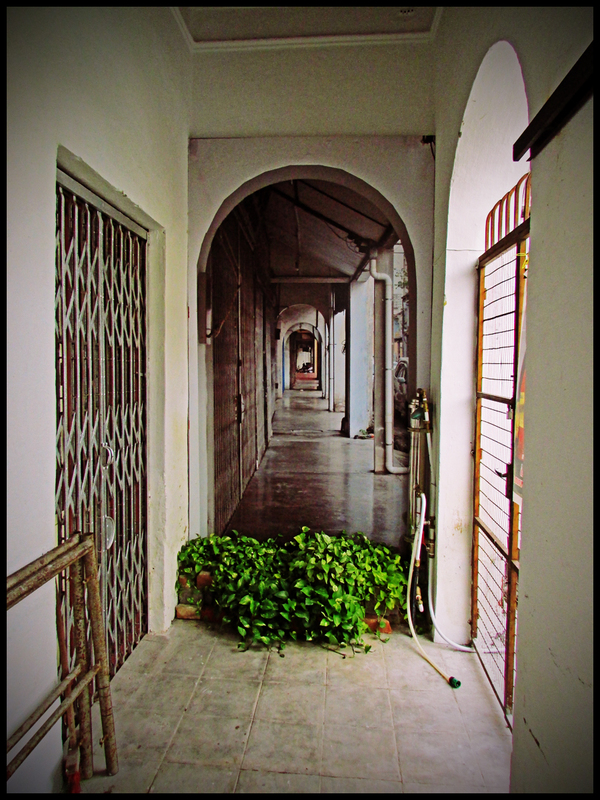 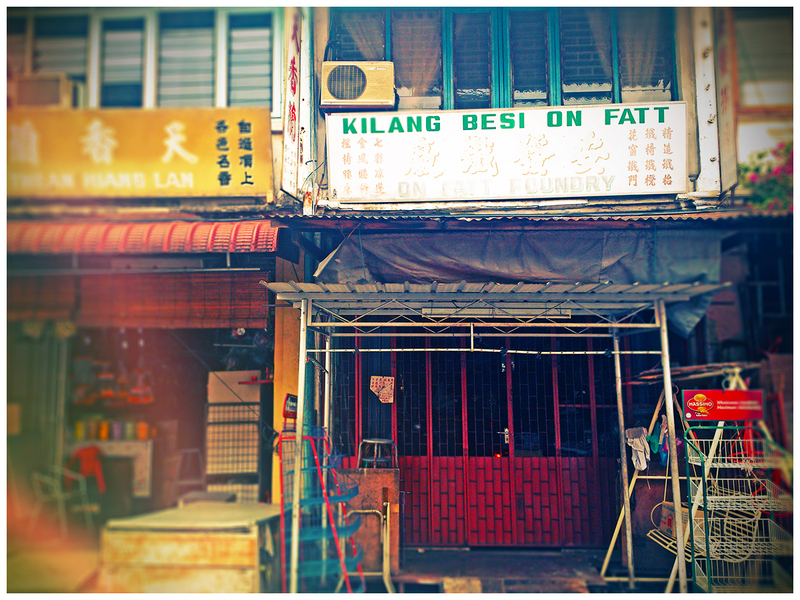 This large portrait print of a ‘five foot way’ pasted on a side wall of a building at Armenian Street provides an illusion of a continuous walkway. 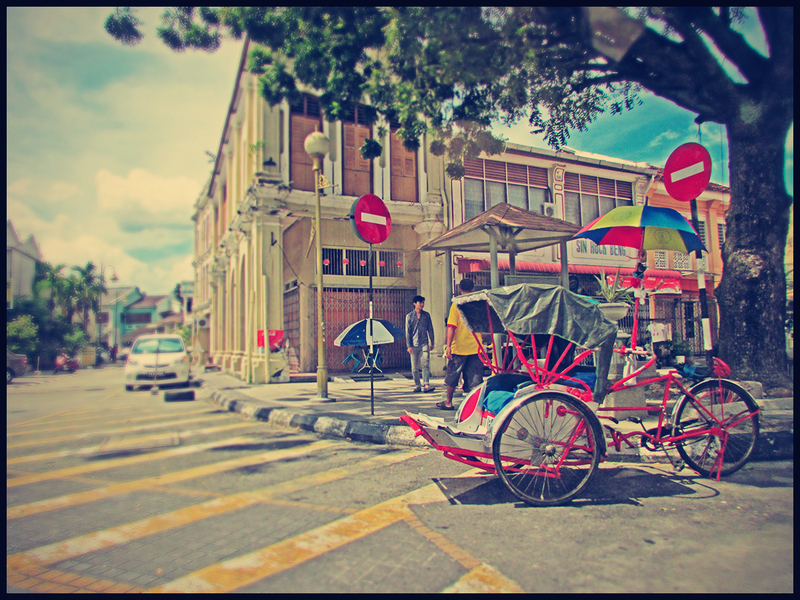 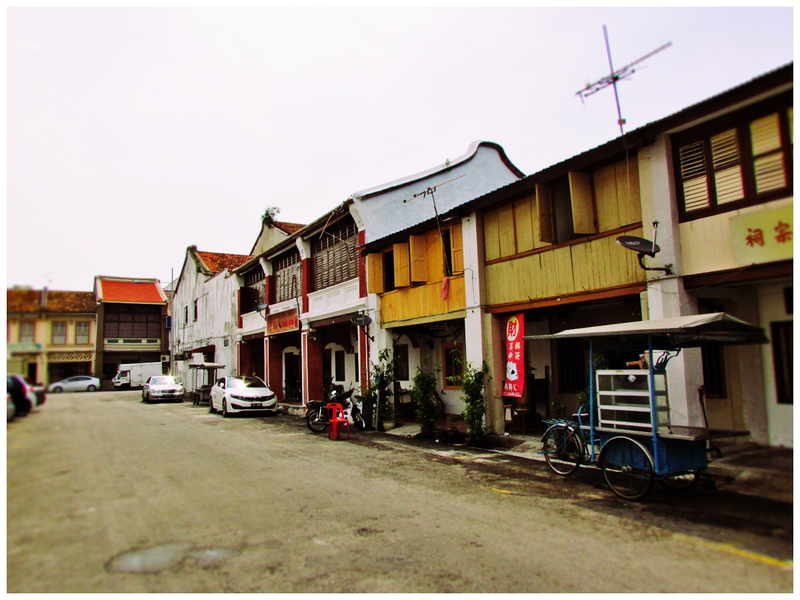 Once a common local public transportation, these bipedal ‘taxis’ now only serve as tourist transportation around George Town. 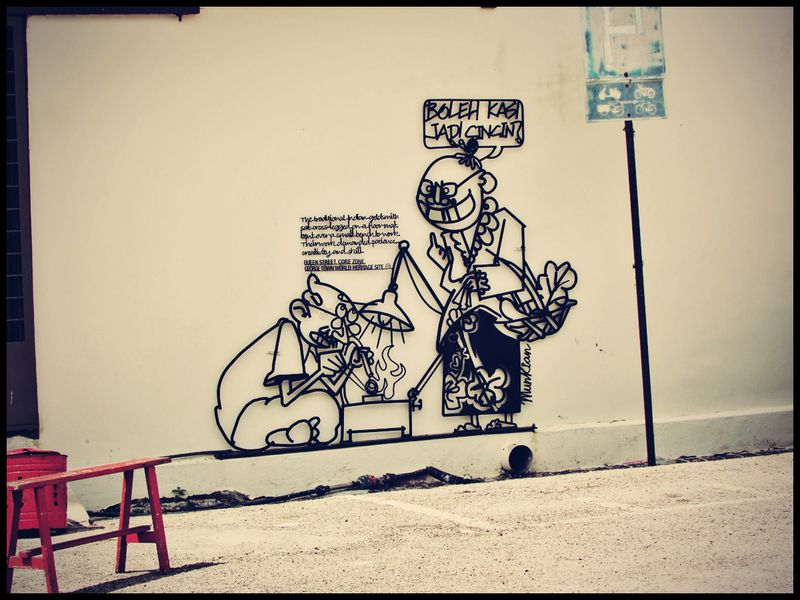 A steel rod art sculpture showing a caricature of a traditional Indian goldsmiths who used to set up stalls (by working on a bench) along Queen Street back in the old days.